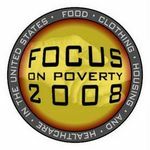 My interest at the moment is to get as many people as possible to support FOCUS On Poverty 2008, the proposition that calls for every man, woman and child in the United States to have access to adequate food, clothing, housing and healthcare. About Me My life has been a voyage of discovering that there is a world away from the comfort of the suburbs. My Philosophy We live for about 80 years, in a universe that has existed for 13 billion years. We are each of us one of some 5 billion people on this planet. We are, at one and the same time, absolutely irrelevant, and wonderfully unique. Let's each of us use that uniqueness to make a little difference to the world immediately around us. What Gives Me Hope The fact that I never lose it. If I were Mayor, I'd make the world a better place by resigning. 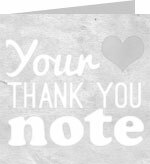 What/who changed my life and why Tami, because: she showed me that being a working mother, holding two jobs, when suffering from pain that would have knocked me out, and doing this seven days a week, was, in her view, all worth it, when she got to spend 10 minutes on a Saturday evening, washing her two year old son in the bathroom, while listening to her five year old and eight year old shout and fight in the next room. She is the strongest person I know. She is stronger than me. So strong, that she would never ask for a hand-out, to help a working poor, single mother of three, with an abusive ex-husband. I marvel she can survive. I am ashamed that my country will not give her the helping hand she needs to help her survive. I will fight to get her, and all of her and our friends, that helping hand. And those who break the rules, they change the world.